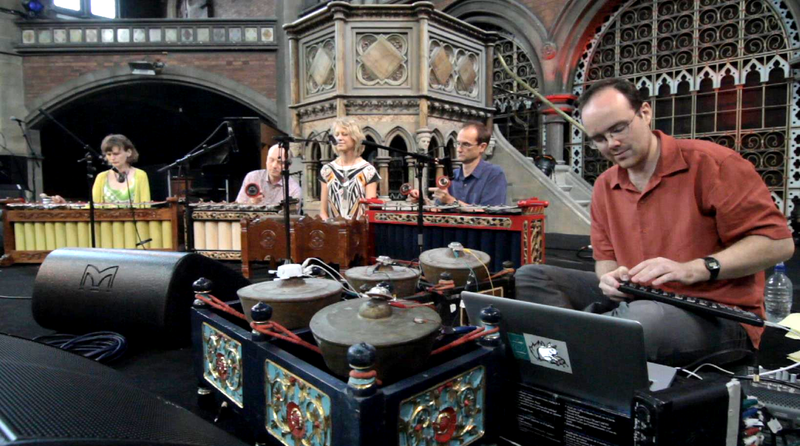 There are a couple of fairly unique Augmented Gamelan related performances coming up in London over the next couple of months, with possibly more to be confirmed. First off on the 16th May I’ll be playing a solo set as Ardisson for the first time in about three years – the last time I played under this name was in the Foundry just before it closed down. 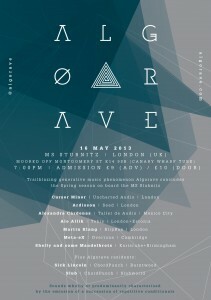 This will be part of an Algorave event, which the organisers describe as based around “sounds wholly or predominantly characterised by the emission of a succession of repetetive conditionals”. This seemed like a perfect opportunity to adapt the Mipilan software framework to put out something resembling dance music. I’ve been working on a patch to send out Sync-24 directly from my sound card to control a couple of the classic Roland boxes, and all being well the signals will be interpreted back gamelan-style in a kind of bizarre cross-idiomatic feedback loop. The chances are it’s not going to sound very much like gamelan, but I’m planning on taking a couple of bonang pots down for a bit of added resonance. Kind Encounters is a set of tracks made by Ben McDermott using the latest version of Mipilan, a composition and performance framework based on conventions of realtime interpretation from Javanese gamelan. A couple of months ago I updated the software with a few new features: a synthesised gong komodhong, cleaner gender samples, and a few tweaks to the user interface. As with the previous set (Pattern Recognition), these are improvised within the software framework and recorded in one take without any further manipulation. It’s a limited palette but Ben really makes it his own, weaving bowed gender notes around drones and deconstructed gong notes. It’s been difficult to find time to work on the Max side of things lately but this week I have been adding some new functionality to Mipilan – including MIDI out, new synthesis options and samples. The new version should be available to download soon, once I have worked out a few bugs and updated the documentation. The pattern generation is quite specific too. 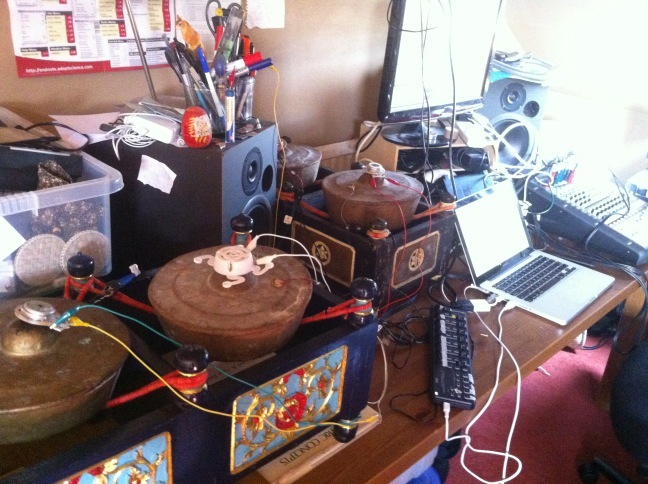 It’s what might be called a psuedo-algorithmic approach based on ideas from traditional Javanese music. 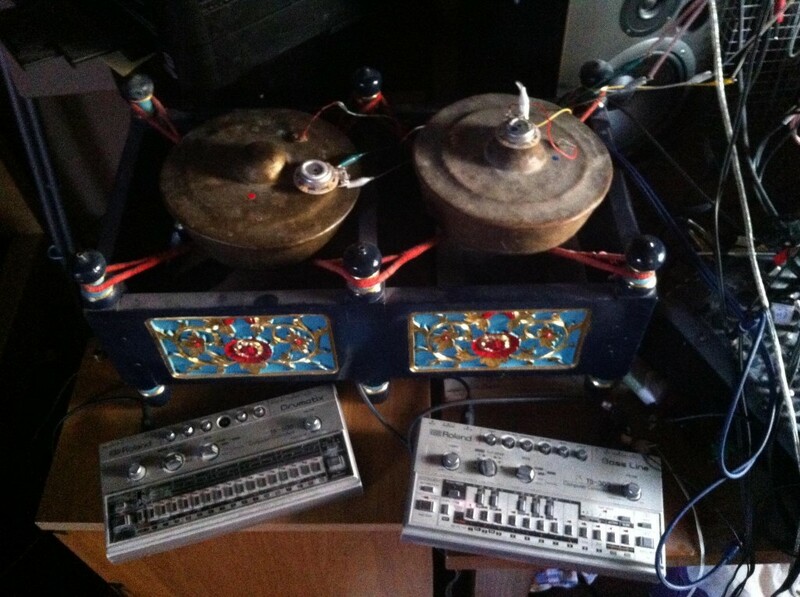 The user can input a central melody (what we might refer to in Javanese terms as a balungan), and choose from a couple of options to interpret it with the sound of sampled bronze keys and volume envelopes on fixed-frequency sine waves. I thought it might be interesting to set it loose in the wild and see what other people might come up with based on these parameters, particularly without any prior knowledge of Javanese gamelan or at least its playing conventions. Ben is a sound artist and musician originally from the UK but currently located in Sydney. We’ve been collaborating on and off for about ten years and he has set up a label called Unclassed Media that has released some of my experimental work alongside his own output and others. He was kind enough to volunteer to test the first version of the software out and I figured this might just be a case of making sure that it made any sound at all. However, knowing Ben as I do, I realised it was probably a good idea to quickly build in some recording functionality. Having watched the demo video and with a bit of help through iChat he came back with these recordings the same day. It’s very interesting for me to listen back to this. I’ve spent a fair bit of time listening to the software working in the background and it seems to work quite well for ambient music generation. By the third and fourth recordings it really feels like Ben is starting to use it to compose and perform. Just making it his own, and not making any concerted effort to fit in with an idea of composing for gamelan and electronics. The sampled sounds I had sent with the package are quite rough, including a lot of traffic noise on the bowed notes, but he has chosen to emphasise these at times to great effect. All in all it captures some nice moments – in the software development itself, something to feed on, the first time I have really felt comfortable about sharing such a specific framework with someone who might set out to deliberately misuse it and make it his own. But it’s the sense of exploration and subtle touches that Ben has brought to this that really make it a pleasurable listen for me. On the 28th October 2012 I will be involved in an event taking place at the New Diorama Theatre near Regents Park in London. I have been working with dancer/performer Rebecca Woodford-Smith on a collaborative piece involving movement and an original composition. This has mostly been long-distance through email communication, sharing files through Soundcloud and Dropbox, and limited rehearsals in person. We have been working closely with paintings by Oi Nuen Sprunt (see image above), which will be on display in the space and form a backdrop for the performance. In response to this and through dialog with Rebecca I have attempted to explore the theme of damage and healing through textural and spatial exploration, and some indeterminate processes. 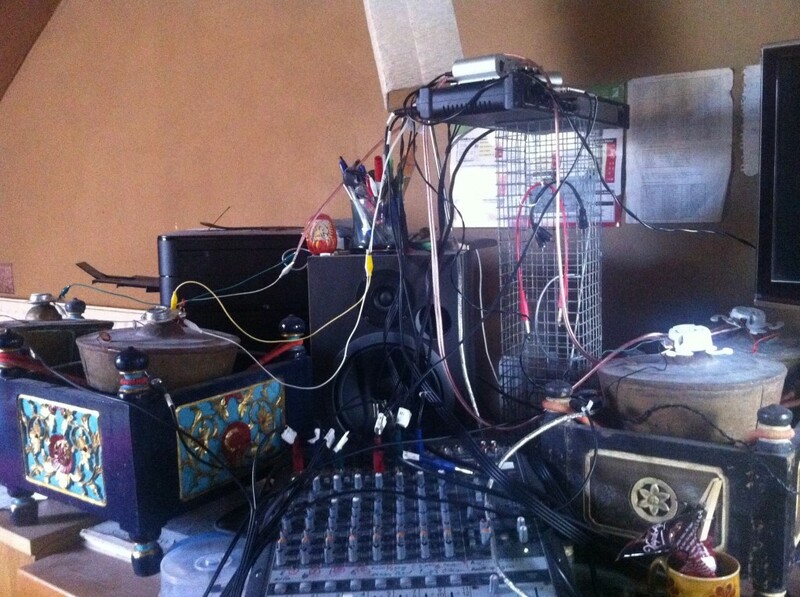 The piece uses the setup from the Union Chapel performance as a starting point: bowed and struck gender, slenthem, and bonang prepared with transducers and contact microphones, as well as environmental sounds. Bonang and transducer setup for recording of the Shoutcry Room piece. It is mostly pre-recorded, to be mixed in the space. This has allowed for some interesting processing that would have been difficult to realise with live players, and also for the movement to tie in and work against the sound in a predictable manner. This is the first time I have worked on this sort of collaboration and it has been very interesting to see how Rebecca’s movement has tied in. 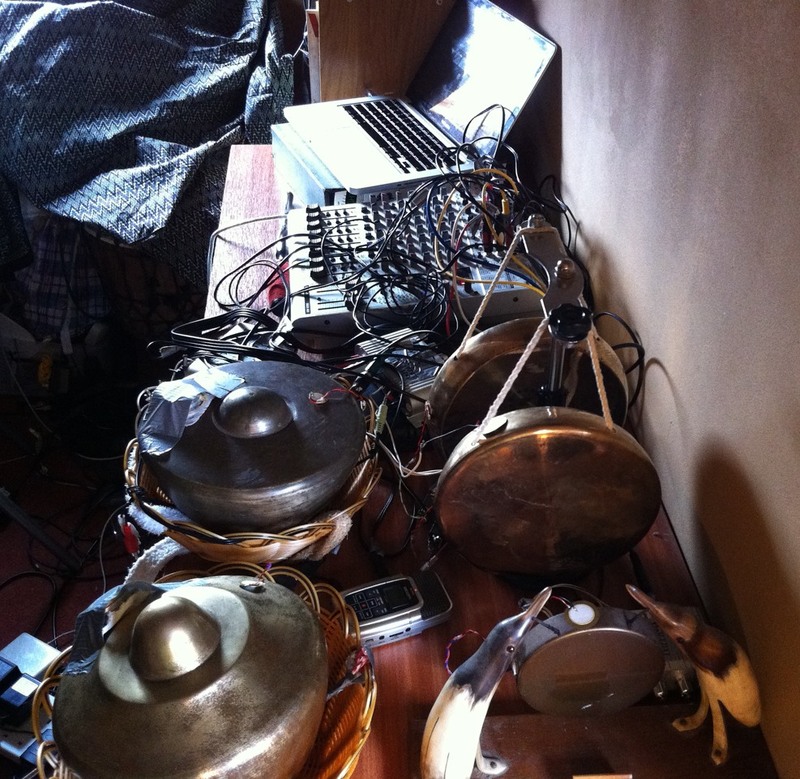 Tenuous Links is a solo piece I developed in the summer of 2011, based around a balungan interpretation patch I was working on in Max/MSP and a set of small gongs and input/output-type transducers. 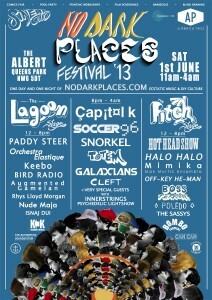 It started life as a 20 minute performance for the Placard Headphone Festival in Sheffield, and so headphones are recommended (lower frequencies might not be audible through some speakers). I recorded four or five different versions over a couple of months. Most of the techniques and bits and pieces of the software have since been integrated in performance with live musicians.